In a large skillet that has a tight-fitting lid, add the vegetable stock and bring to the boil. Add the cod fillets, bring to the boil again, then turn the heat down to simmer, cover and cook for 5 minutes. In the meantime, in a small bowl, combine the chopped eggs with the oil, parsley, salt and pepper. Set aside. Remove the fish fillets from the pan with a slotted spoon on to warmed serving plates. 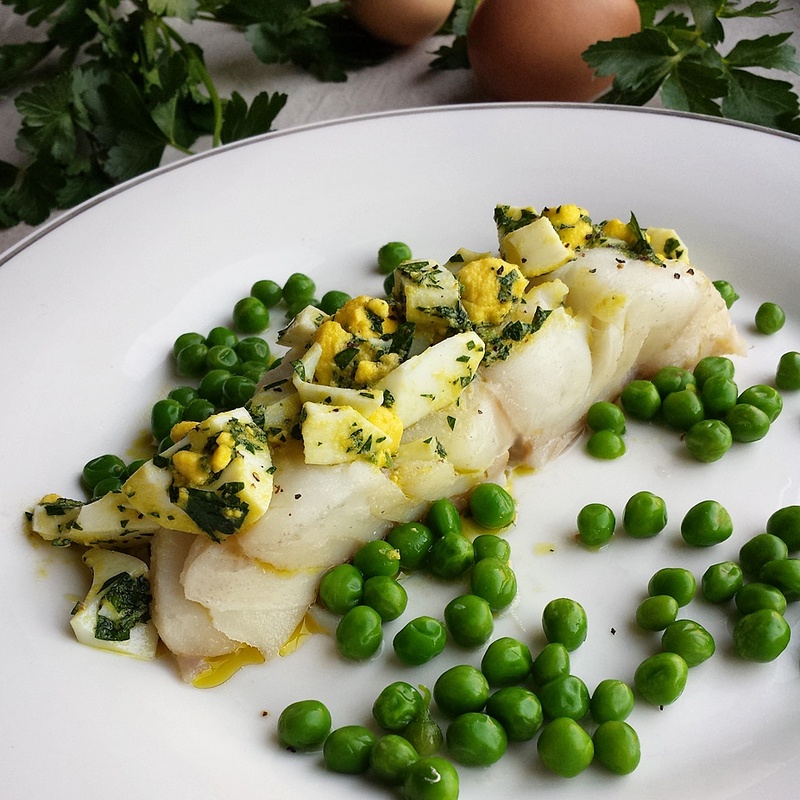 Turn the heat up and blanch the peas for 2-3 minutes, while evenly distributing the egg mixture on top of each fillet. Drain the peas and scatter on each plate to serve.